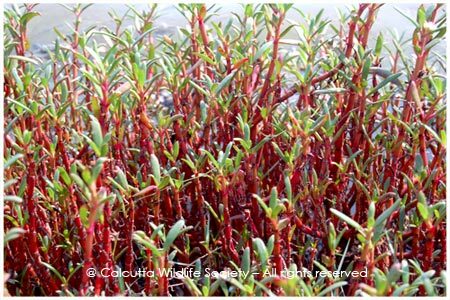 Very few intertidal species are used to prepare Soda ash, amongst which Salicornia brachiata is one. This apart its leaves have got high anti-oxidant value for which researches are on to find out anti-cancer used. On burning, this plant produces soda ash and it is a rich fodder.